Introduction: Trevor is in Kuala Lumpur visiting Scott for the recording of this episode, during which time they plan to do some cycling in Scott’s Bukit Kiara neighbourhood. The two discuss their different experiences biking in SE Asia as well as the great aspects of exploring the region by bicycle. Trevor enjoys how travel by bike allows you to mingle closely with local communities, while Scott talks about how it’s great to see the local sights. They bring in a cycling expert to share his expertise on what riders can expect from cycling in various countries across the greater region. From where the best areas are for climbing, road-riding trips, off-road adventures, and everything in between, we get to the bottom of what SE Asia has to offer riders. Our Guest: Adam Platt-Hepworth joins Scott and Trevor online from his base in Siem Reap, Cambodia. 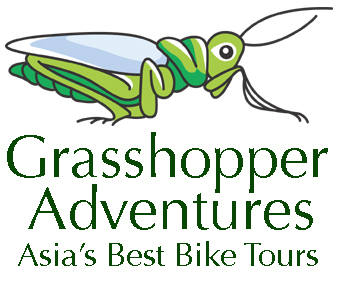 Adam discusses his transition from banking in Australia to joining and now owning Grasshopper Adventures, a bike tour company that offers trips throughout Asia. 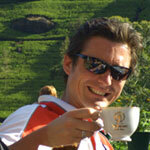 He’s one switched-on fellow when it comes to cycling in Asia and planning a great trip. Differences in Terrain: Adam discusses how the terrain generally differs across the region and gives a rough overview of the regional geography, specifically what the respective countries have to offer: coastal flats vs northern mountains in Vietnam, plains in Cambodian, and diverse terrain in Thailand, etc. Scott also prompts Adam to explain why Asia is a great cycling destination, which includes a great diversity of accommodation, the hospitality of the local populations, and a wealth of back roads. Biking and Camping: Trevor asks Adam about possible bike-and-camp excursions. Adam revisits the wealth of accommodation options nearly everywhere in the region (including Buddhist temples), which makes it relatively unnecessary to camp, but brings up Cambodia’s Cardamom Mountains as one region that’s so remote, camping (or a home stay) would be a necessity. Cycling in Mandalay and Bagan, Myanmar: Adam discusses the great cycling in and around Mandalay, Myanmar’s second largest city. He talks about how the city isn’t what people expect and how the surrounding countryside is both accessible and interesting to explore via bicycle day-trips. Sights include the longest teak bridge in the world and countryside where backroads are flat and unsealed. They then discuss Bagan, one of Myanmar’s great cultural/historical attractions, which guests can bike to from Mandalay in about three days, though most visit as a day trip exploring the ancient temples and nearby farming villages. Cycling in Sri Lanka: Scott prompts Adam to discuss what Sri Lanka has to offer in terms of cycling. Adam touches on the diversity of terrain and attractions Sri Lanka offers, including national parks, beaches, and a wealth of historical attractions. He explains that Sri Lanka hasn’t yet developed off-road trail riding but offers some areas that offer great potential. Adam also suggests that riders prepare themselves to do some hill-climbing in Sri Lanka, as the terrain is moderately challenging. Challenging Cycling Area/Routes in Asia: Trevor wonders where seasoned riders looking for a real challenge should visit, to which Adam discusses one of his favorite cycling destinations: the far north of Vietnam. Departing from Sapa, Adam suggests heading towards the border of Yunnan, China where serious mountain rides include 30 consecutive kilometers of climbing and spectacular views. There, one can visit remote hill tribes on a daily basis but the offerings of food aren’t for the faint of heart. Best Cycling Areas for Beginners: Scott asks Adam where are great areas for people who are new to cycling and would like to do multi-day trips that offer not overly challenging terrain and manageable distances. 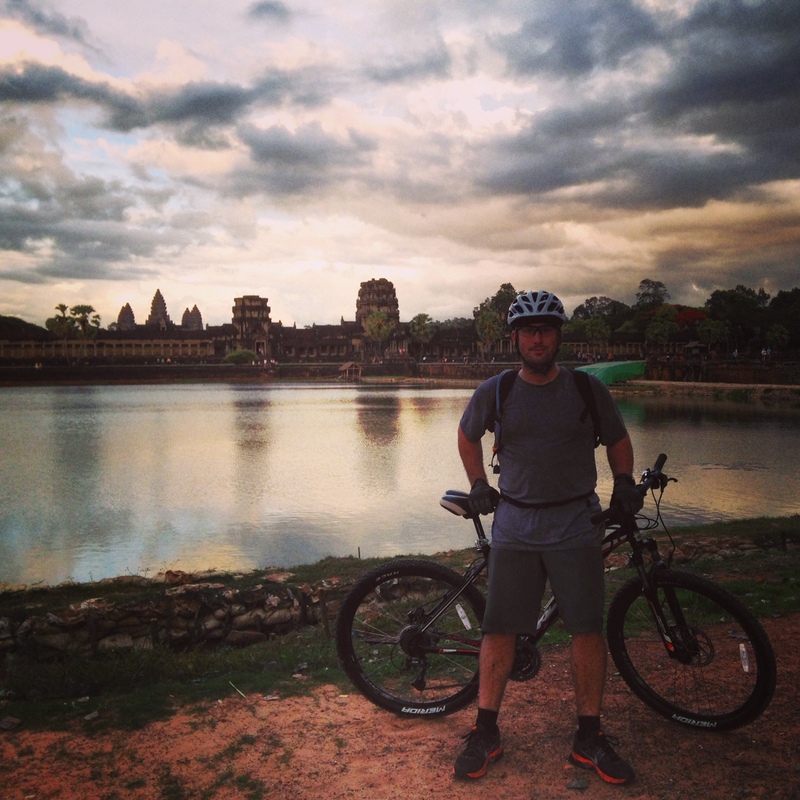 Adam states that Thailand and Cambodia are both very user friendly, with relatively flat rides, few language/communication challenges, and good networks of back roads, particularly in Thailand. Both offer short distances between accommodation centers and many sightseeing attractions. Cycling Dangers in Asia: Adam believes the region is safe to travel by bicycle if riders stay away from the main roads, travel between major areas by bus, and explore less busy routes. Otherwise he states the basics of road safety, claiming he feels safer riding in Asia than he does in Australia, particularly because bicycle travel is normal for many in the local populations. Adam also discusses the challenges of acquiring obscure bicycle parts for travelers doing DIY bike trips across Asia, suggesting that bikes with more standard components are more practical for repairing while on the road. Closing: Trevor recalls seeing a Grasshopper Adventures’ van on a recent trip to Cambodia and gives Adam the positive feedback he got from one of his guests. Scott appreciates the advice Adam has given him about biking in the region over the years. Scott and Trevor then summarize the conversation, discussing the diversity of terrain available for different levels of rider experience, how friendly the local populations are, and how relatively safe the region is to explore by bicycle. They also talk a bit about the weather and Scott offers a few tips on packing for cycling trips in the region. Download and Listen to Episode 8 on SoundCloud Now! Download and Listen to Episode 8 on iTunes Now! Our Sponsors: Episode 8, Cycling Southeast Asia, is sponsored by Shinta Mani and Beervana. 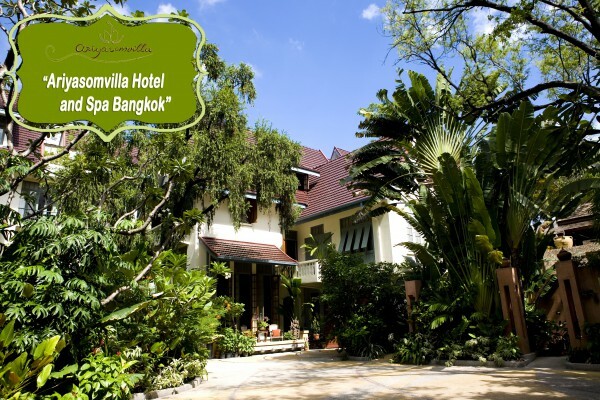 Shinta Mani is one of our favorite boutique/design hotels. 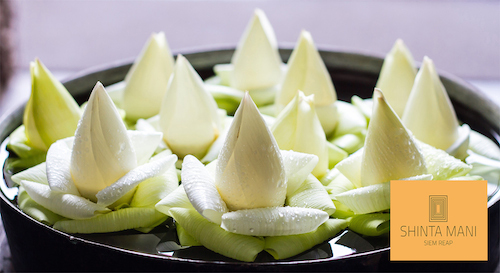 Located in Siem Reap, Cambodia – home of UNESCO World Heritage Site: Angkor Archaeological Park, Shinta Mani provides warm hospitality, outstanding comfort, and an ideal location for exploring the town of Siem Reap and the nearby ancient temples. Beervana is a craft beer curator who imports tasty craft beers from the USA and distributes American and other international specialty beers and spirits to over 100 outlets around Thailand as well as direct to your home via their Craft Beer Club and BeerMe app.